Government agencies are tasked with modernizing their GIS while simultaneously struggling to support outdated hardware and siloed systems. This one-hour conversation will highlight how to effectively transform by utilizing services like AWS AppStream 2.0 to stream GIS software directly from the cloud. Charleston, SC, April 16, 2019 --(PR.com)-- GovLoop will host a live training on Thursday, April 18th, 2:00pm EST, Modernize your GIS in the Cloud. Government agencies are tasked with modernizing their GIS while simultaneously struggling to support outdated hardware and siloed systems. This one-hour conversation will highlight how organizations can transform by utilizing services like AWS AppStream 2.0 to stream GIS software directly from the cloud to any end user device without software downloads or installs. Carole Balzer, Network Administrator at Rogue Valley Sewer Services in Rogue Valley, OR, joins Jason Harris, Chief Technology Office at ROK Technologies, LLC in Charleston, SC and Vinoth Narasimha, Senior Product Manager, AppStream 2.0 at AWS in Seattle, WA, to discuss how Cloud GIS is a next generation on-demand technology that uses a virtualized platform in a scalable, flexible environment. According to Rightscale’s 2018 State of the Cloud Report, 81 percent of enterprises already have a multi-cloud strategy in place and 38 percent of enterprises view cloud adoption as their top priority, up 9 percent from 2017. At the end of this live training, attendees will better understand just how government agencies can modernize their GIS systems by moving to the cloud; how GIS managed cloud services can assist with architecture and deployment best practices; and the impact on efficiencies gained from migrating. 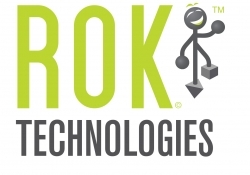 ROK Technologies’ mission is to bring your GIS to the Cloud. With cutting edge core competencies and secure, cloud infrastructure solutions, ROK provides their clients with the tools they need to integrate their enterprise software with GIS solutions, products and services. As an Esri Silver business partner and an AWS advanced technology partner, ROK specializes in architecting, configuring and managing the ArcGIS Enterprise Suite in the Cloud. GovLoop’s mission is to connect governments to improve government. GovLoop serves a community of more than 300,000 government leaders by helping them to foster collaboration, learn from each other, solve problems and advance in their government careers. Amazon AppStream 2.0 is a fully managed application streaming service that enterprises can use to simplify application delivery and complete migration to the Cloud.